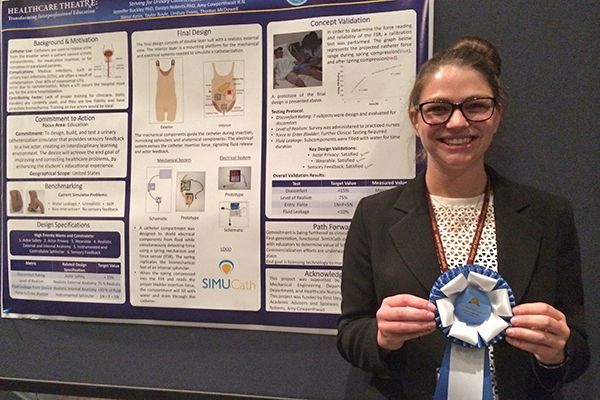 An interdisciplinary team of students from the University of Delaware recently took first place at the 14th annual Design of Medical Devices Conference. Mechanical engineering student Taylor Boyle presented at the Design of Medical Devices Conference. 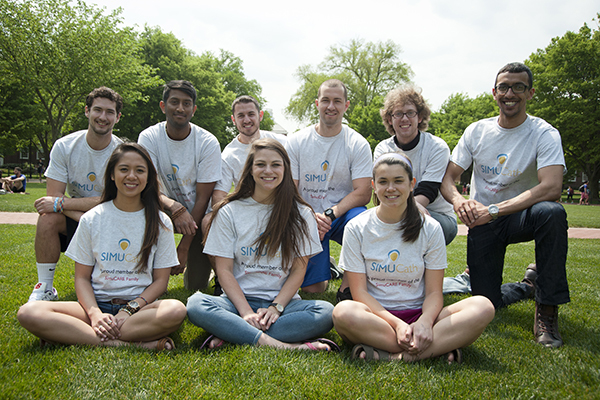 10:25 a.m., May 11, 2015--An interdisciplinary team of students from the University of Delaware recently took first place at the 14th annual Design of Medical Devices Conference. Held at the University of Minnesota from April 13-16, the event is the world’s largest medical device conference. Boyle also represented the team at the eighth annual Clinton Global Initiative University (CGI U), which took place from March 6-8 at the University of Miami in Coral Gables, Florida. At that meeting, more than 1,000 innovative student leaders made commitments to action in CGI U’s five focus areas: education, environment and climate change, peace and human rights, poverty alleviation, and public health.